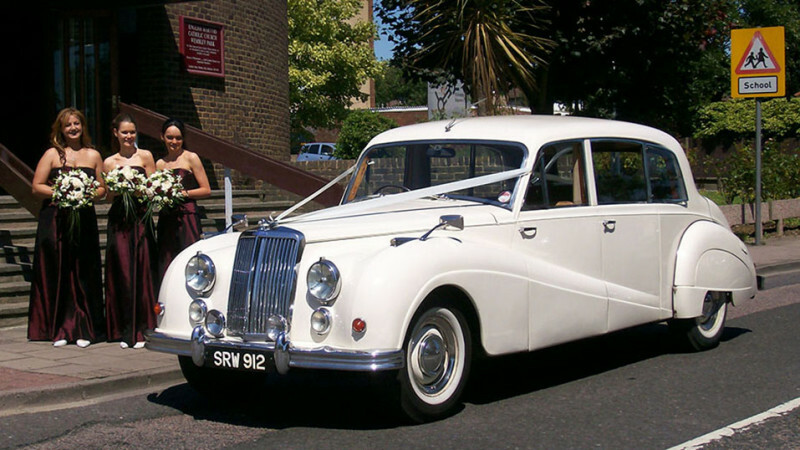 This very rare 1950′s limousine can comfortably seat up to seven passengers. 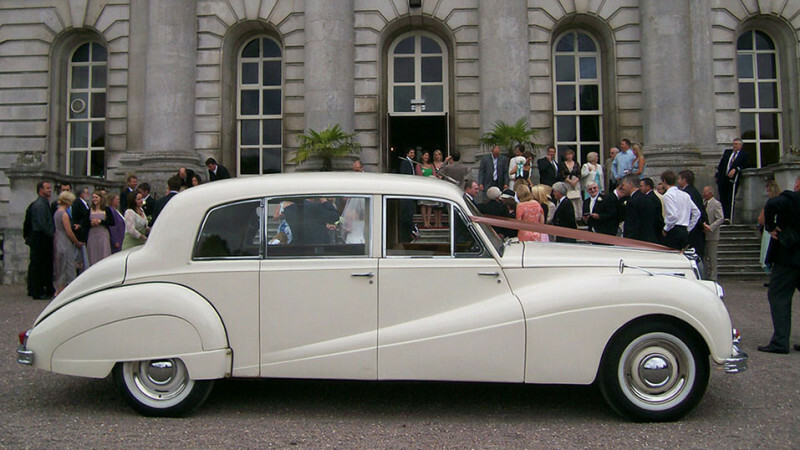 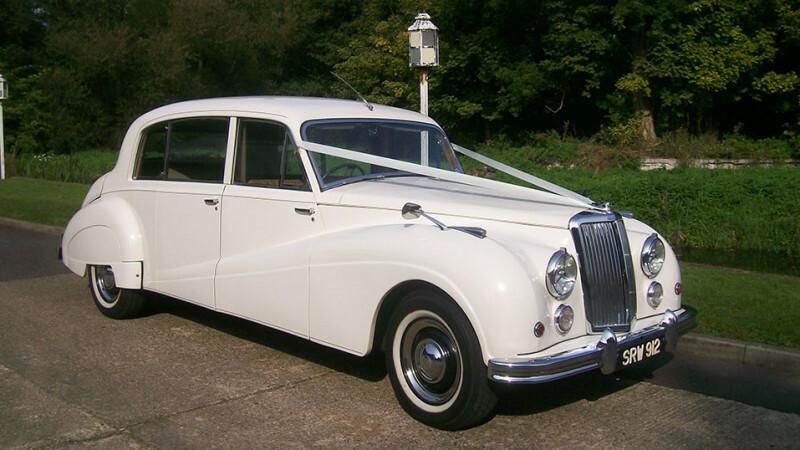 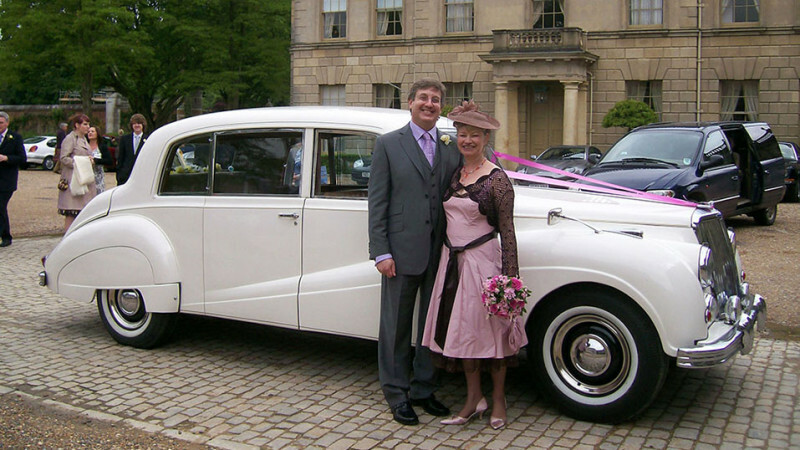 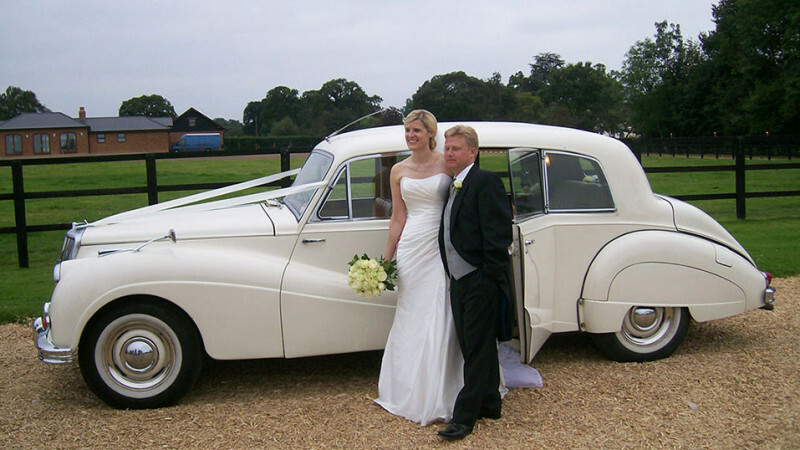 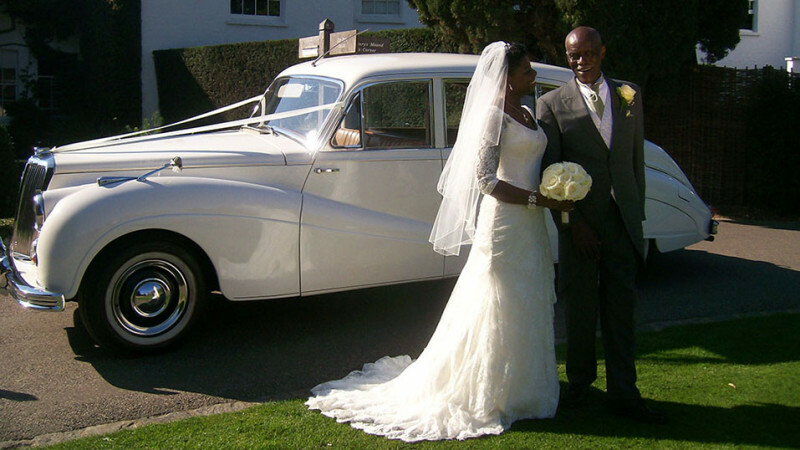 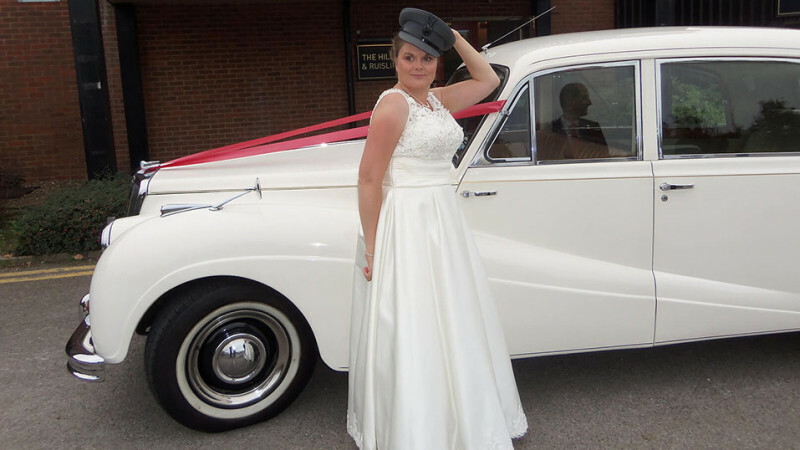 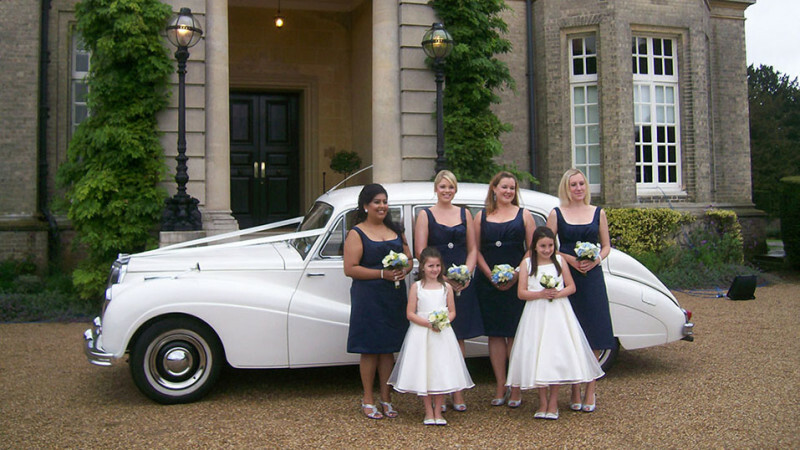 Finished in Olde English White which is the soft white similar to Ivory and with Light Beige Westminster Cloth seating and highly polished walnut wood interior this wedding car provides elegance and a lavish amount of room for the Bride and Groom when just two are travelling. 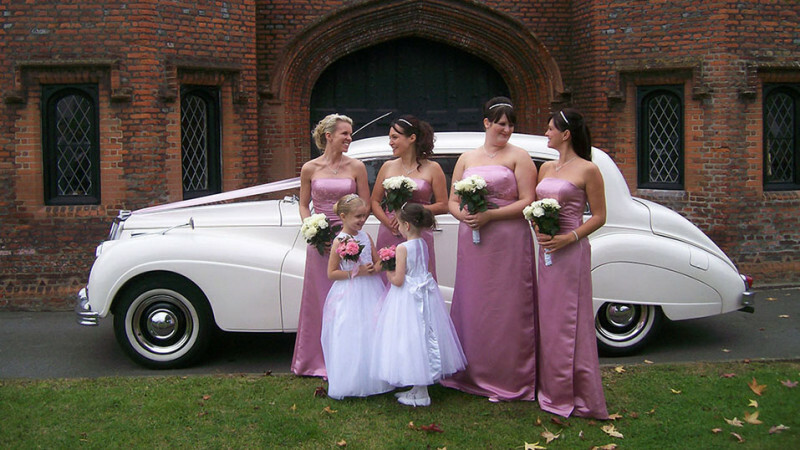 By using the fold away occasional seats it will increase the seating capacity to accommodate seven passengers so is ideal for the Bridesmaids as well as the Bride.